G2G Communities CIC is working in partnership with LEGO® Education, Agored Cymru, Learndirect and the British Computer Society to develop a range of accredited programmes and multimedia resources in STEM subject areas (Science, Technology, Engineering and Mathematics). We deliver training sessions in a fun and exciting way, which is an ideal way of improving skills in STEM related subjects. 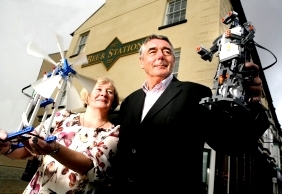 • Delivering in schools, community venues, libraries and in the LEGO® Education Innovation Studio, we make STEM subjects fun, exciting and hands on. • Parents and children work together during the ‘Family Learning’ sessions to develop a range of communication, numeracy, literacy and creativity skills. Call us on 01745 334 482 or click to contact us to find out more. • G2G services a range of businesses, industries, schools, libraries, colleges, individuals, third sector, social enterprises and corporate clients. Using a unique range of one-to-one delivery, virtual support and support packages, we can also offer coaching and mentoring to individuals and corporate clients. 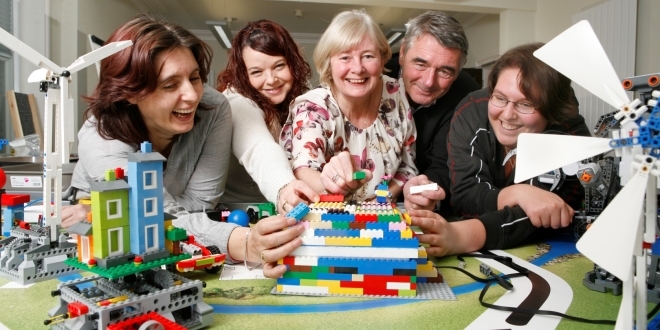 A grant from the Cyfenter Fund has helped G2G Communities CIC develop a LEGO® Education Innovation Studio in North Wales which will support people into careers in STEM subjects alongside a range of other employability and community based programmes. G2G Communities CIC, provides training and education to people furthest from the labour market in some of the highest areas of deprivation in North Wales. Located within the new North Wales Innovation Centre in the Bee and Station Business Centre, the studio is now working across North Wales with community groups, schools, colleges, individuals, third sector, social enterprises, corporate clients and visitors to the area. During 2014 G2G Communities CIC will be developing a range of exciting and innovative programmes and multimedia materials so sign up for our news letter, bookmark the site or join us on Facebook – facebook.com/G2GCommunitiesCIC. Build your LEGO Super Heroes adventure then capture your story! Simple tools and guides make it easy to shoot, edit, even score your movie with music.We have developed a huge range of LEGO® WeDo, NXT, EV3 robots and programming resources, using them to develop ICT, literacy, numeracy, imagination and communication competencies. Participants will enjoy building robots, programming and using our laptops/iPads with LEGO® and other software.We organise sessions of ‘G2G LEGO STEM Clubs’ throughout the year. So, if you want to improve your children’s skills in these subjects, in a fun and easy way, contact us below for further details!